Make a silk purse: Stationery Give Away! Who doesn't like a freebie, right? I found The Notecard Lady on eBay back when my son was born (almost 7 years ago). From there I went straight to her store for purchases after that. I love her things and she is so reasonable. 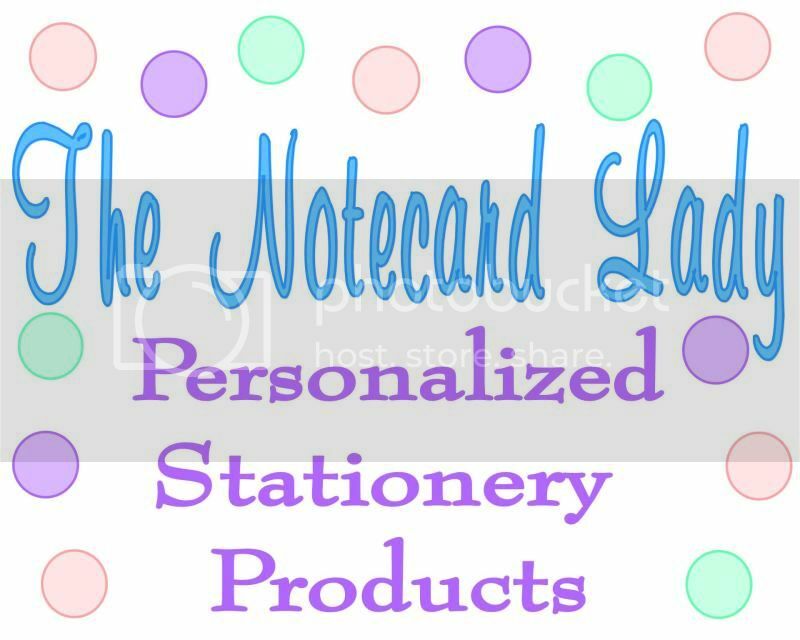 She makes note cards, calling cards, stickers, invitations, and gift cards. I've even worked with her to customize my designs from a stock design of hers. My favorite thing that I like to get from her are the Gift or Enclosure cards. I have a set for each of my children. I use two (back to back) with a self laminating pouch for a bag tag. (Although she sells luggage tags also.) When it's time to wrap a birthday gift, I punch a hole in a card, write the name of the receiver on it, and tie it on the package with a ribbon. I've also had 'mommy cards' made up with all of my information on it. I love her flat note cards! They are so classy! She typically has a buy 3 sets get 1 free promotion going. They are great teacher or Christmas gifts. Who doesn't love getting something for free? She is giving all of my blog readers a super deal! If you check out with this code DLH2010 you will get a 10% discount on your order! Awesome right?